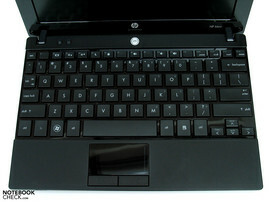 Even if it's not actually obvious in the mini-notebook's name, HP has put the Mini 5101 among the models their SMB range. Be that as it may, it wouldn't really be distinguished from other current consumer netbooks by its specifications, if it wasn't for one enticing detail: A 10.1 inch LED HD display with a resolution of 1366x766 pixels and that in a matt edition. Interested? 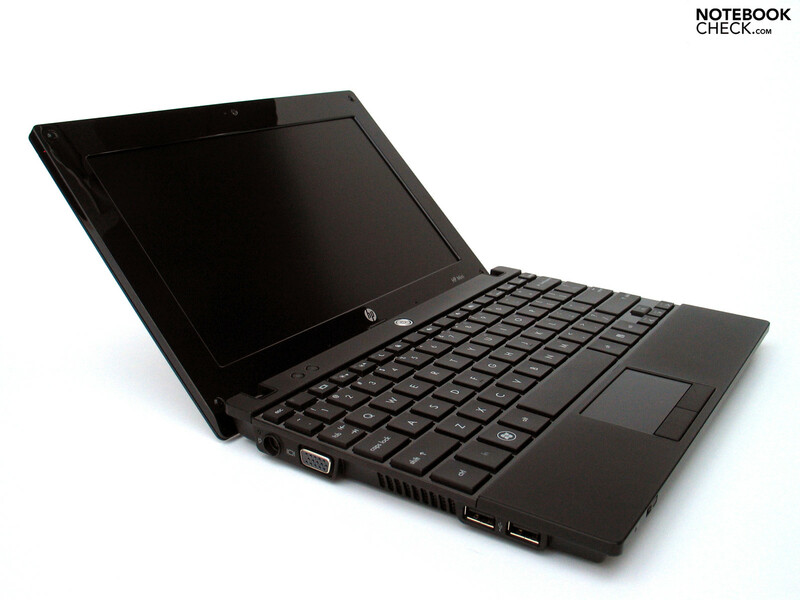 Following the HP Mini 2140, a compact netbook in a 16:9 format with a glare display, and the Mini 701eg with just as a reflective 10 inch WSVGA screen, hence the classic netbook solution, a pre-series device of the new Mini 5101 is now next in test. Despite the unchanged 10 inch format, this now bids a resolution of a staggering 1366x768 pixels. Thus, there's nothing standing in the way of a use in adverse light conditions, as well as when an especially good display overview is required. 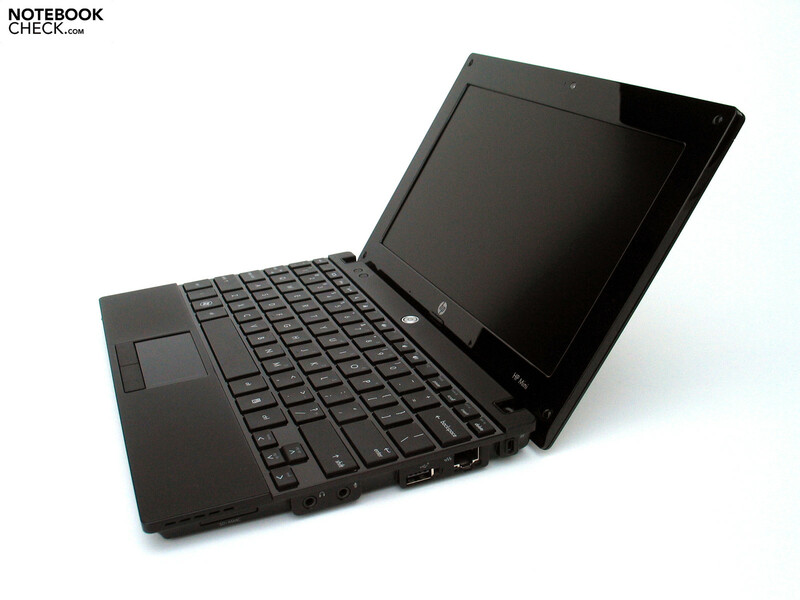 There might not be anything perceptible from the name ProBook in the Mini 5101, but the mite does have an unrecognizable similarity to the previously tested ProBook 4510s. This applies to the 5101's overall design just as much as to details of the single-key layout and the glossy plastic component between them. The practice suitable feature hasn't been adopted with this, but it does at least provide for an improvement of the otherwise completely black device. 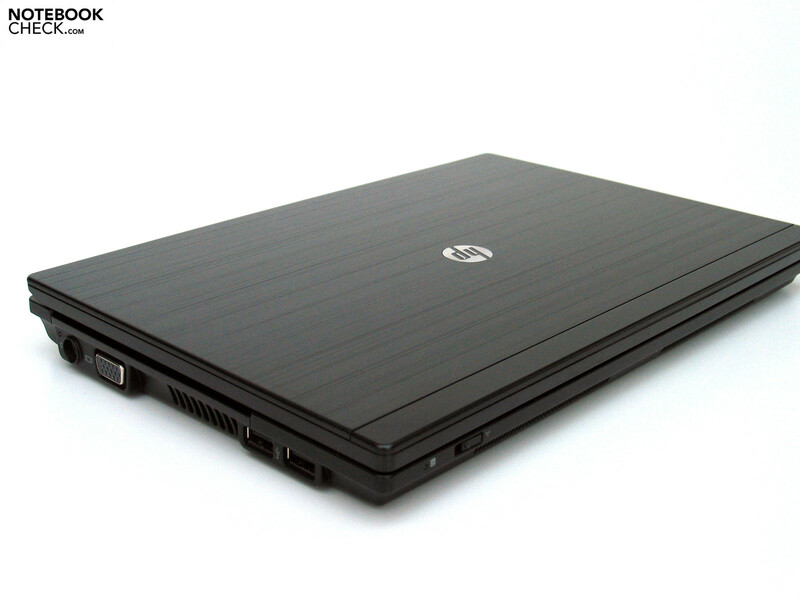 The looks were certainly not the main issue in the HP Mini 5101's conception. Instead, it was supposed to be suited for everyday use. For this reason the book received a stable case tray, probably an aluminum alloy, which is almost equally resistant to deformations as to point pressure. In opposition to the coated key spaces, the case tray and the wrist rests have been equipped with a rubberized surface, which on the one hand provides for a silky haptic and on the other, also protects against scratches and above that conceals fingerprints and other soiling well. The display also has a good stability, which however has a fine brushed aluminum plate in the lid. There are scarcely any image distortions provoked by point pressure, however it can come to slight creaking noises every now and then which originate from the area of the component joint between the metal plate and the plastic display bezel. The hinges turn out optically small but they haven't any problems whatsoever with the 10 inch display and absolutely prevents this from swaying out of position. 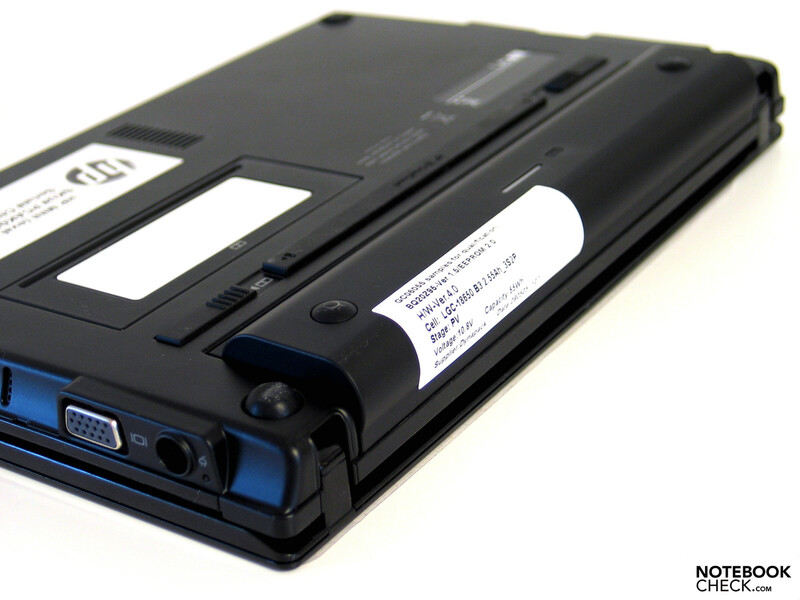 This also applies to a closed state, as the HP Mini 5101 doesn't have a closure mechanism. No matter if business or not, the given connections usually turn out very meager in a netbook. The Mini 5101 is no exception to this. 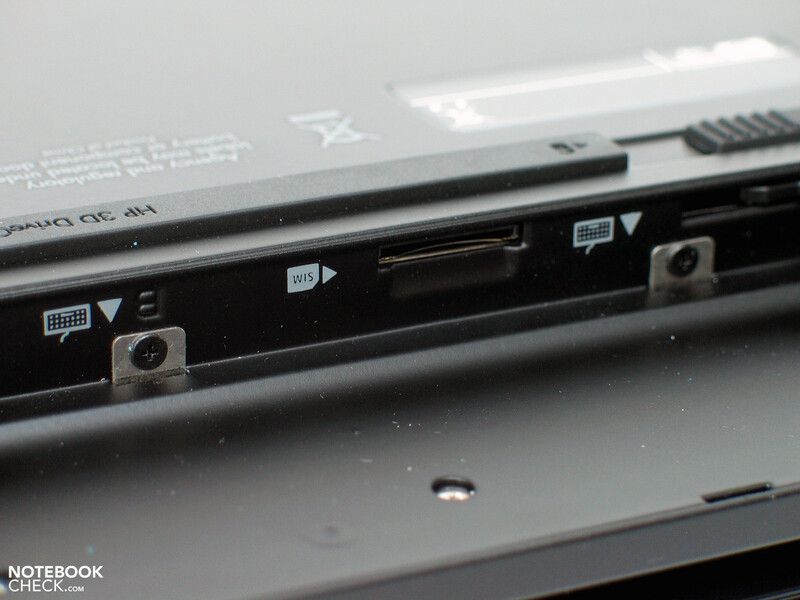 As there are no ports on the front edge or on the back side, since there is no place for any sockets because the battery takes up the entire width, merely the side edges come into question. A cardreader, a headphone and microphone socket, an USB port and the RJ45 LAN socket is found on the right. Continuing on the left there is a VGA port, the power socket and a further two USB sockets. The fan has also been positioned here in the center area. In our opinion, a digital image interface (HDMI or display port) would have been wise in order to make use of external, high resolution monitors in stationary use, for example. However the given analog VGA port also presented a very good image (1920x1200) over the 24 inch Dell 2408 WFP, and allows for lengthier work without difficulties. An ExpressCard interface would also have been helpful for many users, to keep various extension possibilities open. HP has integrated a Gigabit Ethernet from Marvell Yukon as well as an integrated wireless LAN module from Broadcom (802.11a7b7g7draft-n) in view of communications. Bluetooth 2.1 is optionally available. 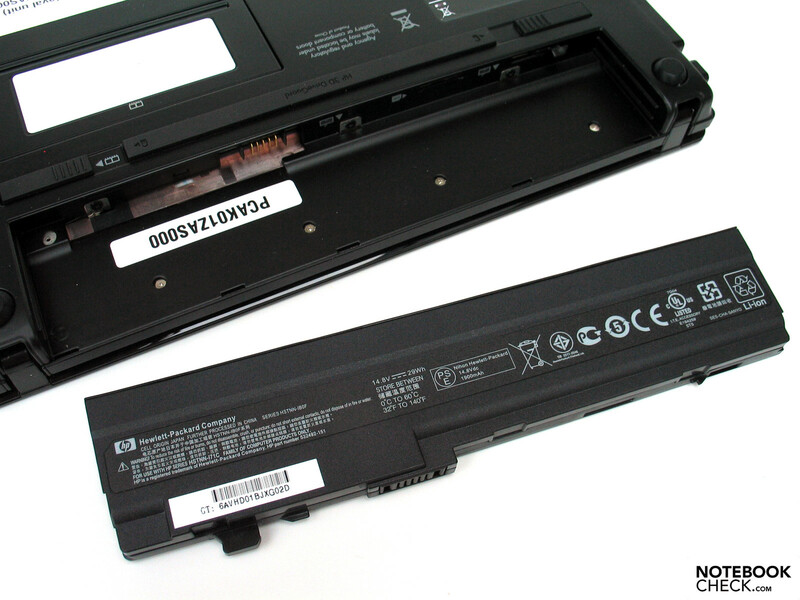 This also applies to an integrated UMTS module for which the netbook is prepared, a correlating SimCard slot can be found in the battery compartment, but which is only optionally available, according to information on the manufacturer's site. Until now we couldn't find any such models in the German-speaking regions. The given warranty ex-factory of merely 12 months isn't business-typical at all. 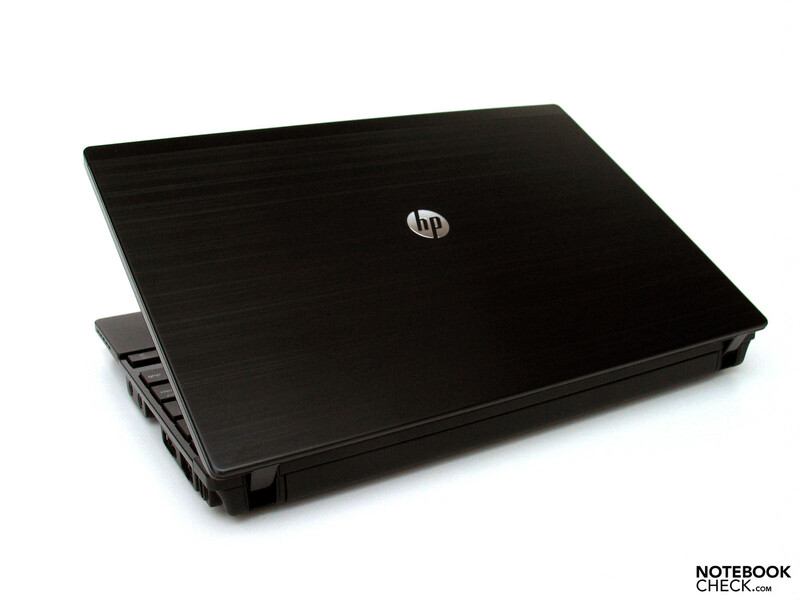 Those who value an according protection for several years will have to attain optional packages (HP Care Pack) with which the warranty can be extended for several years. 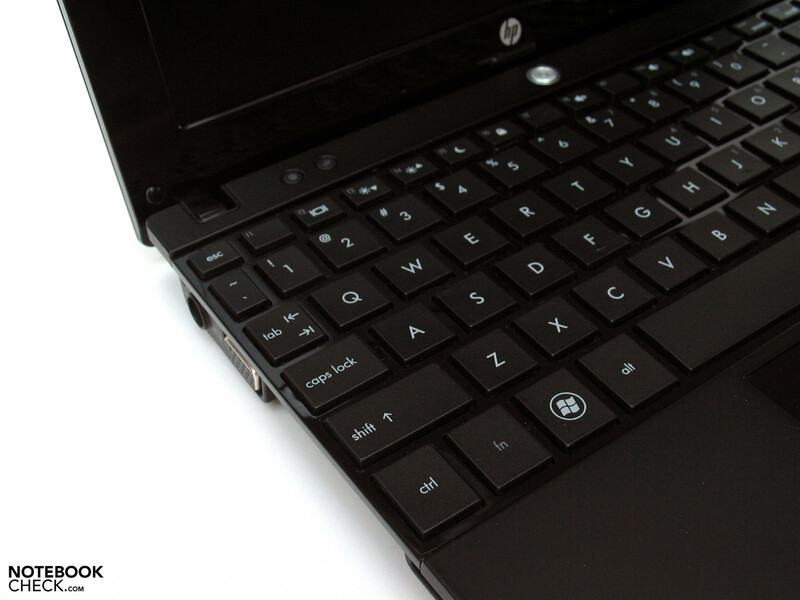 As the keyboard is also of vital importance for a business notebook, HP has obviously tried to get as much as possible out of the limited space of the 10 inch device in view of layout and key size. 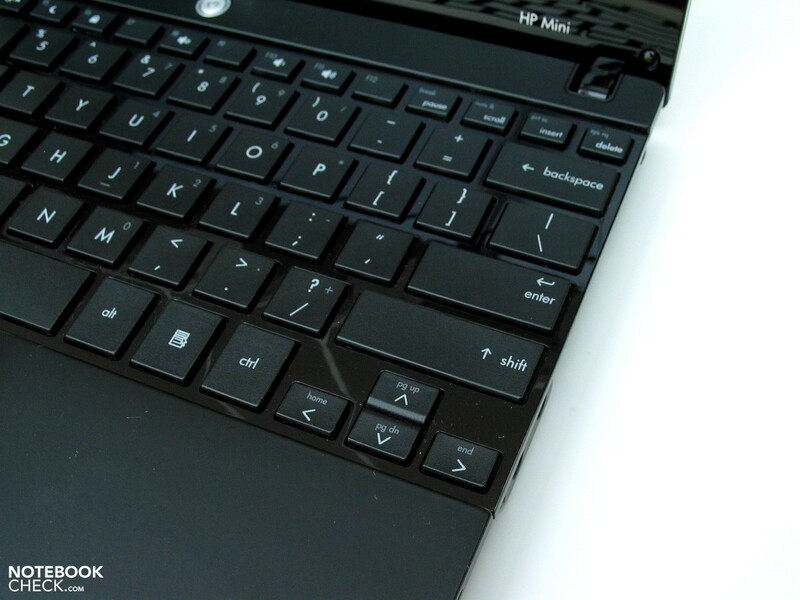 The first keys, which can keep up to its bigger colleagues with a stroke surface of 15x15 millimeters, already begin 2 millimeters besides the outer edge. In any case, touch typing was quickly possible without problems, whereas it did come to a few typos; but this was rather more due to the American keyboard layout of our test sample than because of the key size. 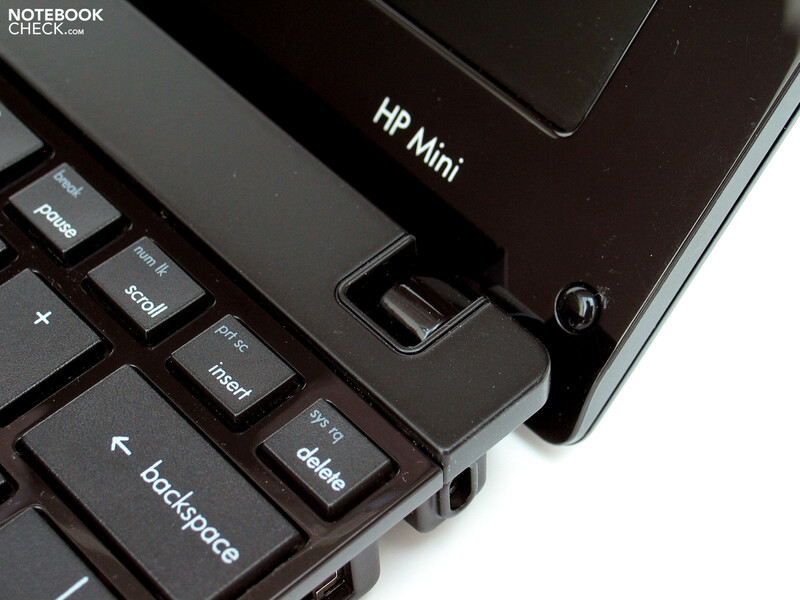 The arrow keys have been economized and have to be satisfied with only half of a key height. Actually, we found the typing feel subjectively quite good as it distinguishes itself by a low resistance at an equally short stroke length but with a well palpable pressure point. The especially quiet soundscape at typing could also convince us. The two hot keys for calling up the standard browser and Outlook are obviously supposed to underline the business demand of the notebook additionally. 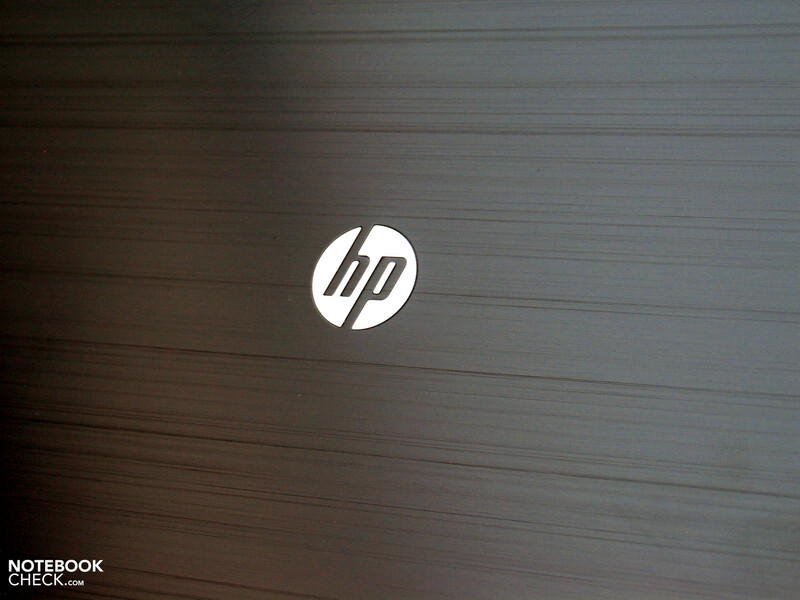 In our opinion, HP has allowed themselves an unconceivable faux pas with the touchpad. The pad surface a smooth coating finish in opposition to the very pleasant, rubberized wrist rests. This has a very negative effect on the pad's gliding traits, which makes navigating on the touchpad very cumbersome, especially with not ultra dry fingertips. 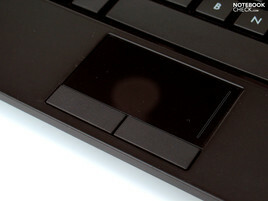 Also, both touchpad keys have to accept critique, as they barely give any haptical feedback at touch. 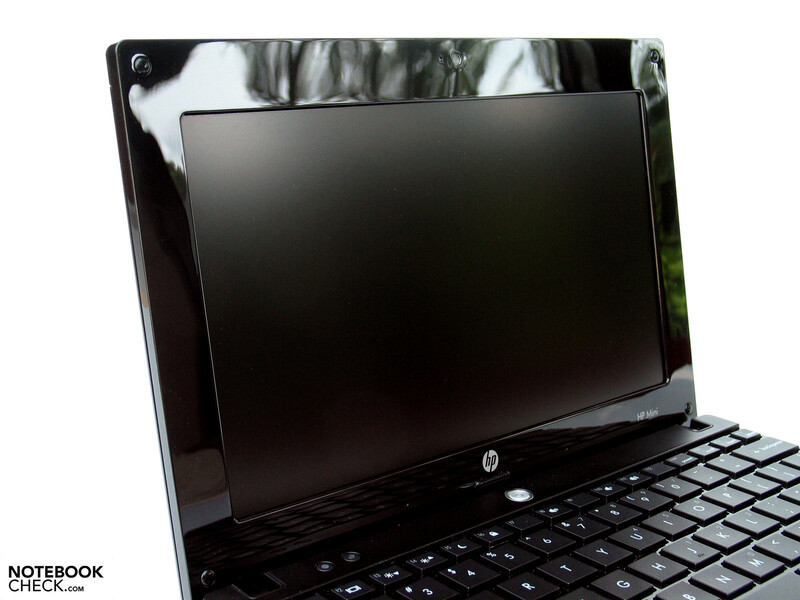 HP is a step ahead of many other manufactures with their decision to use a matt screen. Of course, there is the popular argument that a glare screen would have a better contrast and colors, and isn't any inferior to matt displays with according brightness outdoors. Here and now, a comparison of two very similar devices: Sony Vaio W11 and HP Mini 5101. 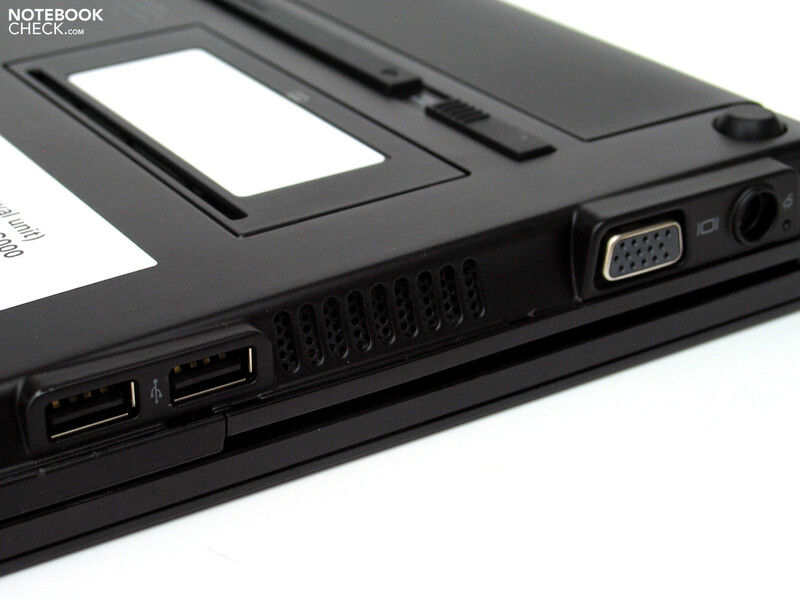 Both netbooks are equipped with a 10 inch LED WSVGA display with a resolution of 1366x768 pixels. 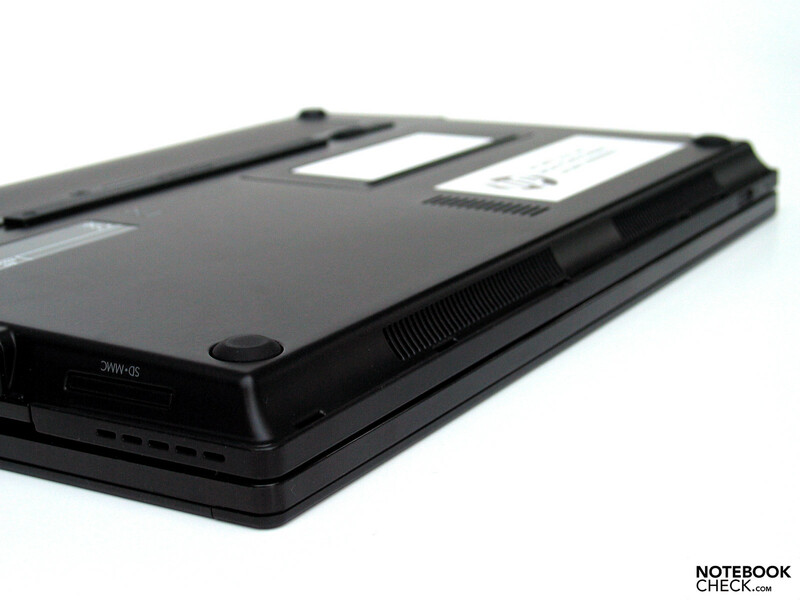 The key data of the Vaio are almost comparable to those of the HP 5101: Max. brightness 244 cd/m2, average 216 cd/m2 and contrast 192.1. 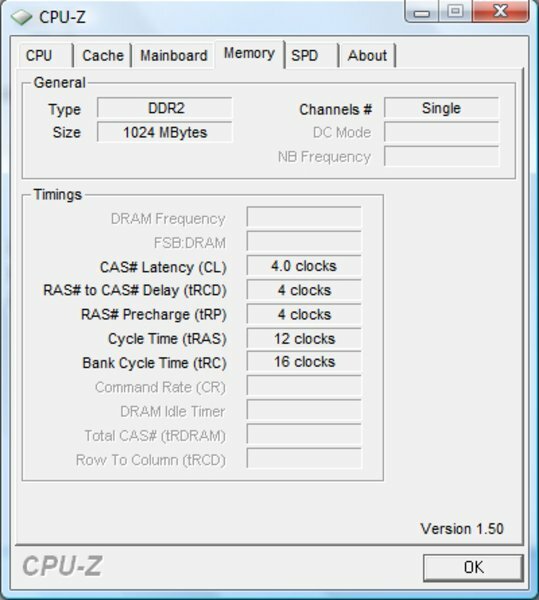 Decide for yourself on which screen you could imagine working with longer. 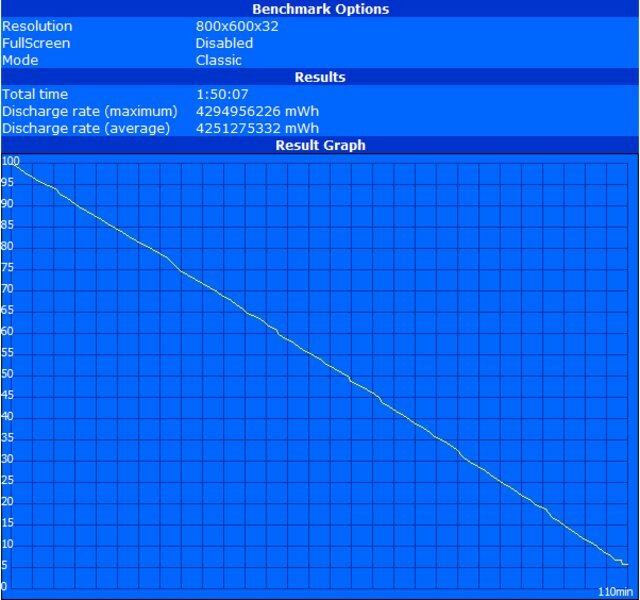 The evaluations of the screen built into the HP Mini 510 turn out very adequate. The maximum brightness of 244 cd/m2 is completely alright for a netbook and the illumination of 84.4% also doesn't show any notable weaknesses. Moreover, the HD resolution of 1366x768 pixels has to be once again positively mentioned. Thus, the Mini 5101 has almost the same desktop surface as an averagely sized notebook. 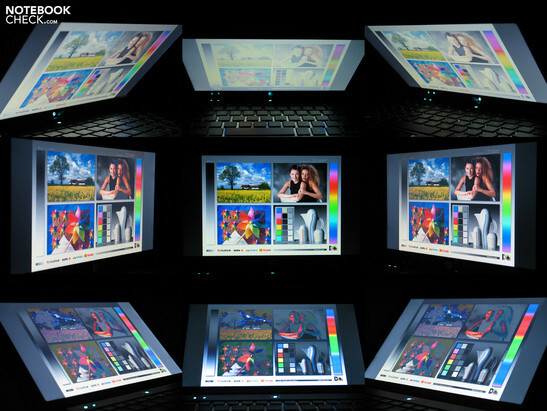 The alternately available 1024x600 pixel display variant should only be chosen in consideration of a not needed overview. With this the Mini 5101 would also be degraded to a mundane netbook in the end. The maximum representable contrast isn't exactly breathtaking with 149:1. However, apart from the somewhat too cool colors, we could grade the image representation subjectively as sufficient to good. 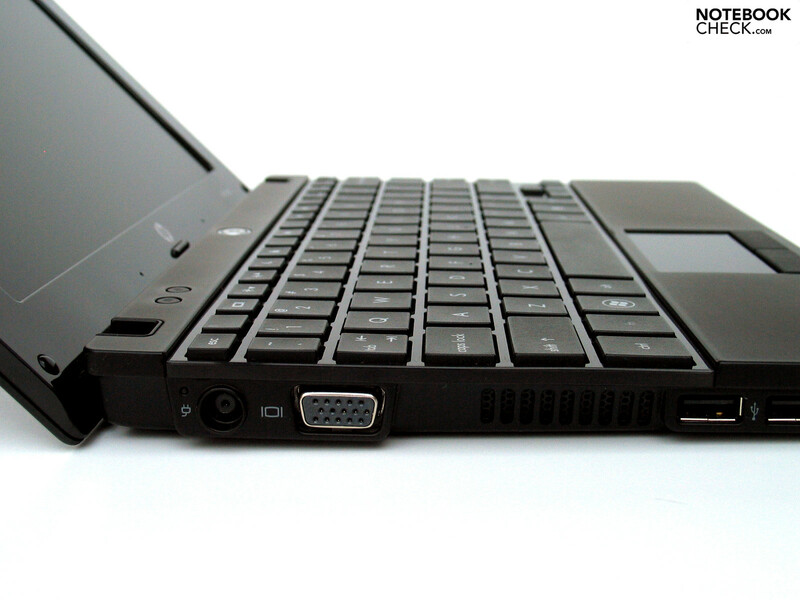 The display at hand places itself at about the average of other netbooks in regards to the stable viewing angles. As usual, it comes to a earlier display distortion in the vertical than in the horizontal viewing area. For this reason it could get necessary to adapt the display angle in order to grant a clear image, especially at mobile use. The range of available hardware components for netbooks is currently still very biased. 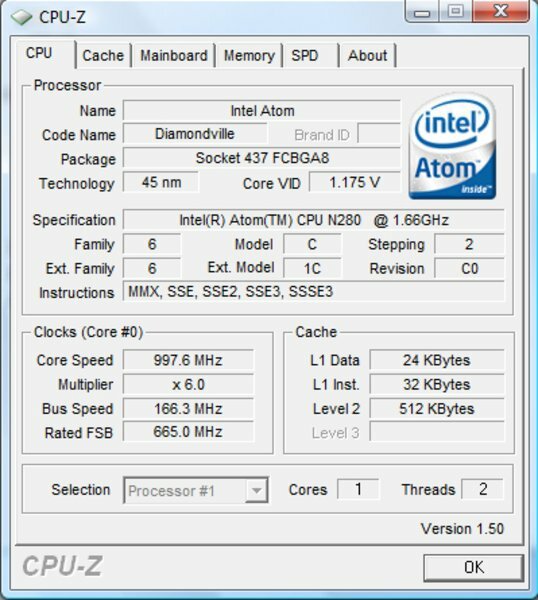 Practically all models are equipped with a version of Intel's Atom CPU, whereas the N270 and the N280 CPU have the lead. 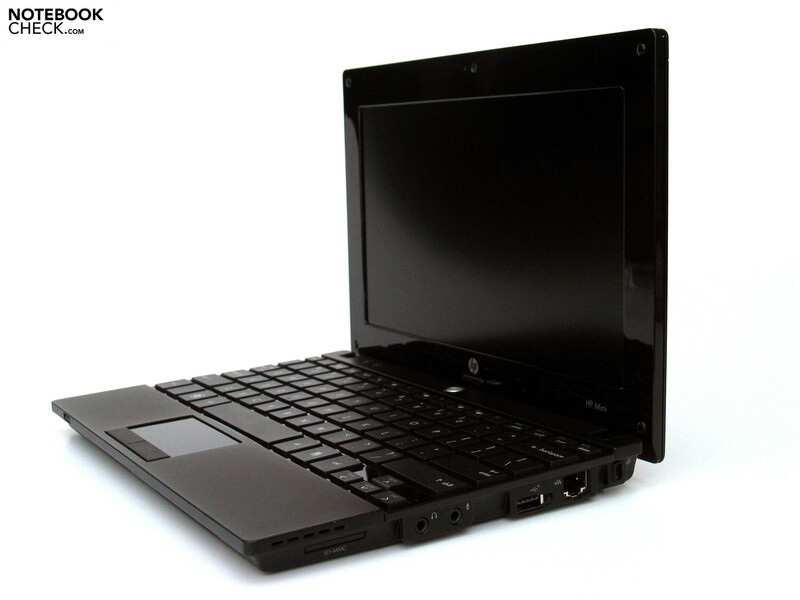 The Atom N280 CPU with 1.66 GHz, a classic netbook CPU, is also used in the HP Mini 5101. Paired with the integrated Intel GMA 950 Graphic chip, the 5101 is orientated on basic office applications. This suffices to manage the largest part of the accumulating daily work load. This includes for instance mail traffic, contact management, word processing, internet access and research, simple image editing, etc. 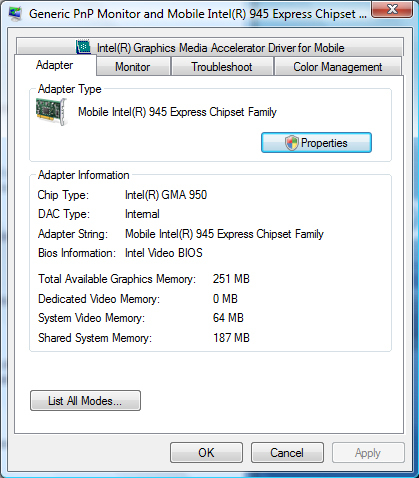 Hence, generally all tasks which neither cause a large processor load nor require performance from the graphic card. 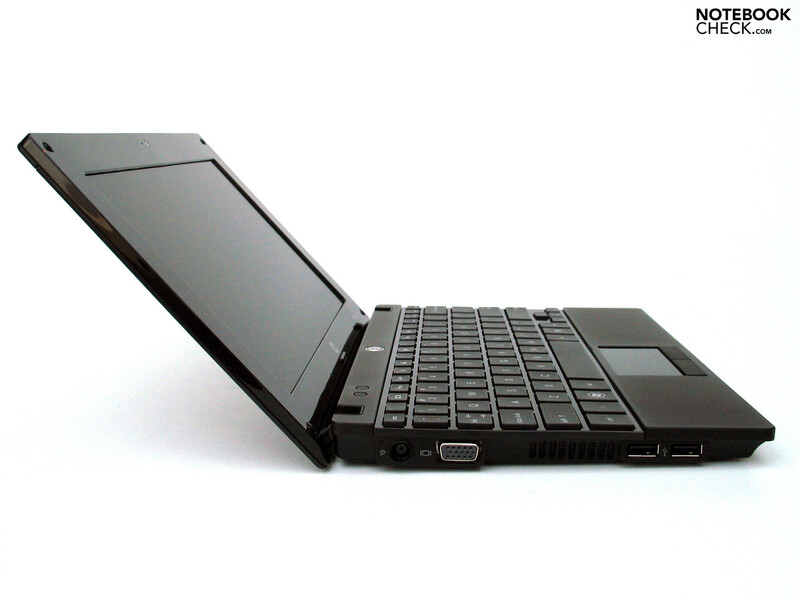 Our Mini 5101 test device possesses a special feature in opposition to most other netbooks anyway: The operating system Windows Vista Business (32 Bit) is used. Otherwise, Windows XP is deployed typically, as XP's resource requirement is considerably lower than that of Vista. If you check currently offered models on the German-Austrian-Swiss market, you will only find models with Windows XP or SuSE Linux. HP also lists only these two alternatives on their homepage. Our pre-sample with Vista should therefore be an exception. Although our test device merely had one gigabyte RAM, Vista ran surprisingly without problems. 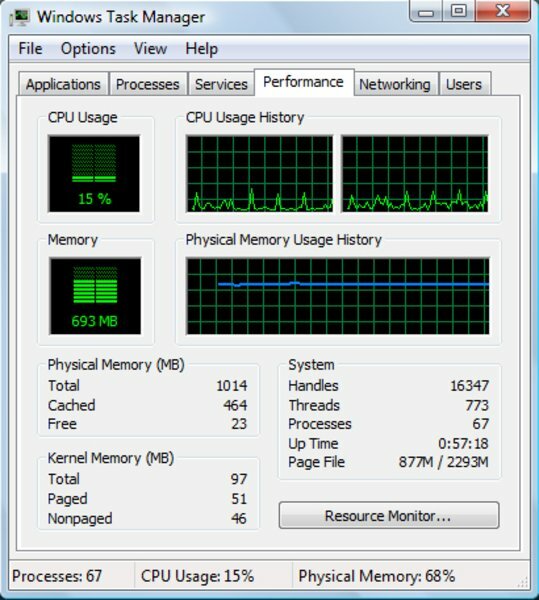 A look at the task manager showed nonetheless, that already around 700 MB of RAM were occupied in idle mode, hence without a running program. 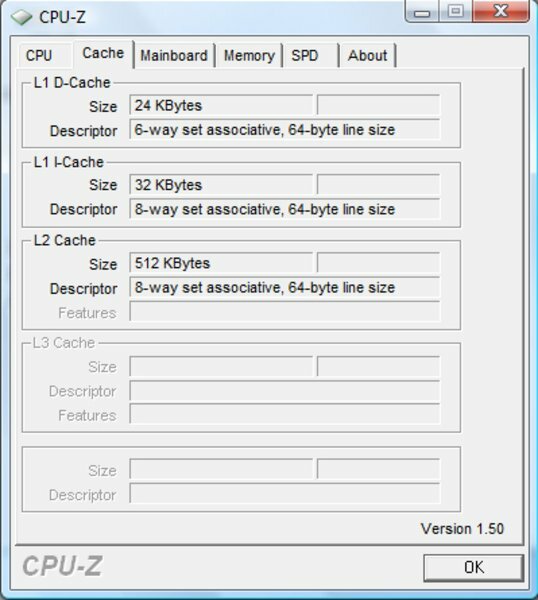 The execution of Mozilla Firefox with several parallel tabs increased the CPU load and additionally raised the system memory requirement by about 100MB. The reserves of up to one gigabyte do get diminishingly small. Due to the low requirements of the Windows XP netbook versions, it gets by quite well with even one gigabyte memory. At increased requirements in regards to this, it might be reasonable to upgrade to 2 GB, though. 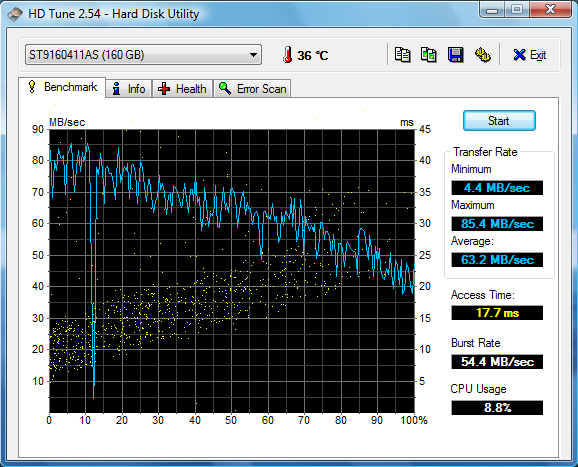 A fast 7200 rpm hard disk from Seagate (ST9160411AS) has been used in view of mass memory in our test sample. 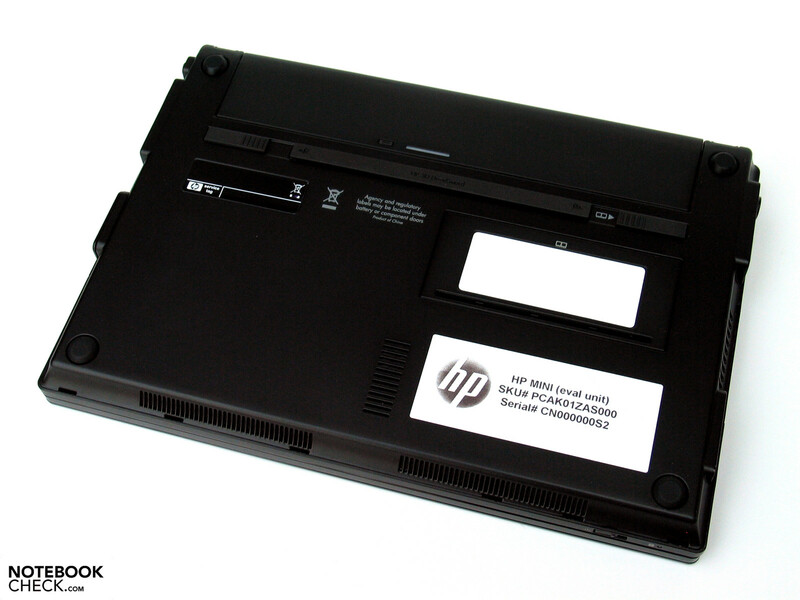 HP also offers a 250 GB disk alternately, equally with 7200 rpm. The results in the HDTune benchmark test showed good values, as expected, in view of transfer rate and an adequate access rate of 17.7 milliseconds. 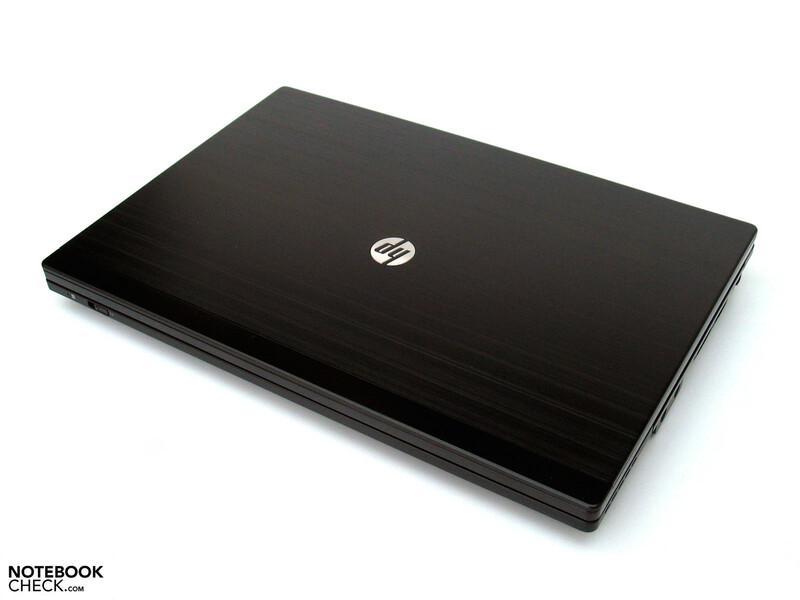 Eventually, an SSD might be of interest for business users, but which HP doesn't supply. Only the RAM bar, which has been treated to its own maintenance flap on the bottom side, can be exchanged easily. 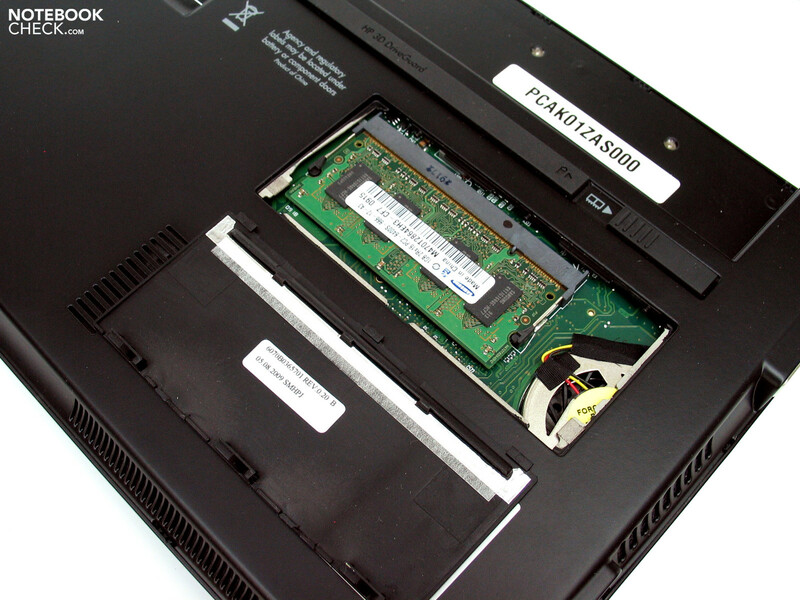 This can be opened by an additional function of the battery locking mechanism, for which not even a screwdriver is needed to replace the RAM configuration. 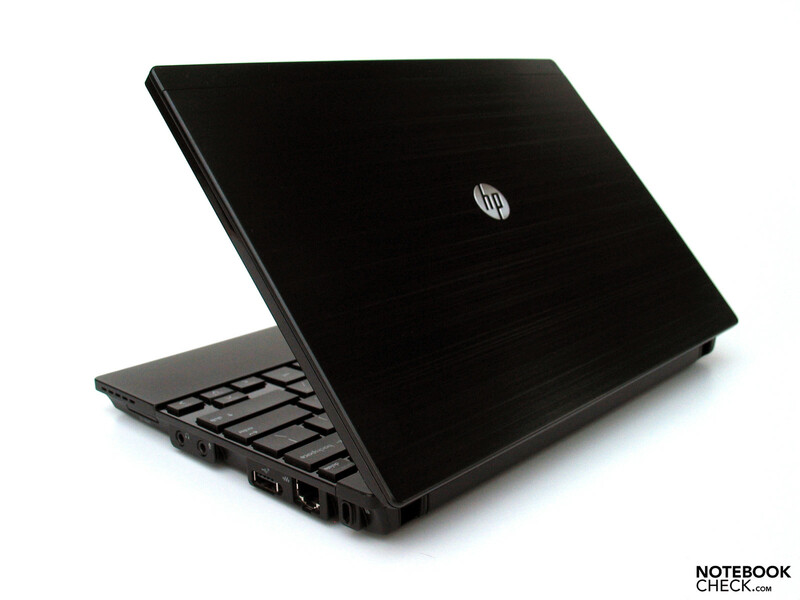 The HP Mini 5101's constantly existent soundscape quickly attracted attention. Even in idle mode without load, a persistently audible whirring of the fan was noted. In average office surroundings this might fade into the background, but in an absolutely quiet surrounding, the Mini 5101 turns out to be a bit too prevailing. Our test sample reached up to 43.7 dB(A) under load and can therefore already be called loud. At practical use this level will scarcely ever be reached, though. Apparently, the always audible hard disk, which clicks along cheerfully, is a Vista phenomena. 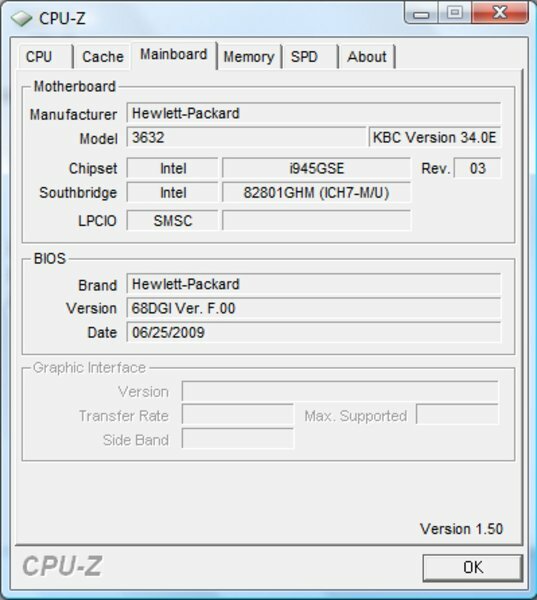 Our test sample was equipped with the 68GDGIF.00 bios version. An update of this as well as a different operating system (XP, Linux) might possibly provide for an improvement in the devices coming up for sales. The case's upper side remained even in the stress test without remarkable heating. We managed to heat the keyboard up to merely 34.6°C. The assessed temperatures of the bottom side turned out considerably higher, though. 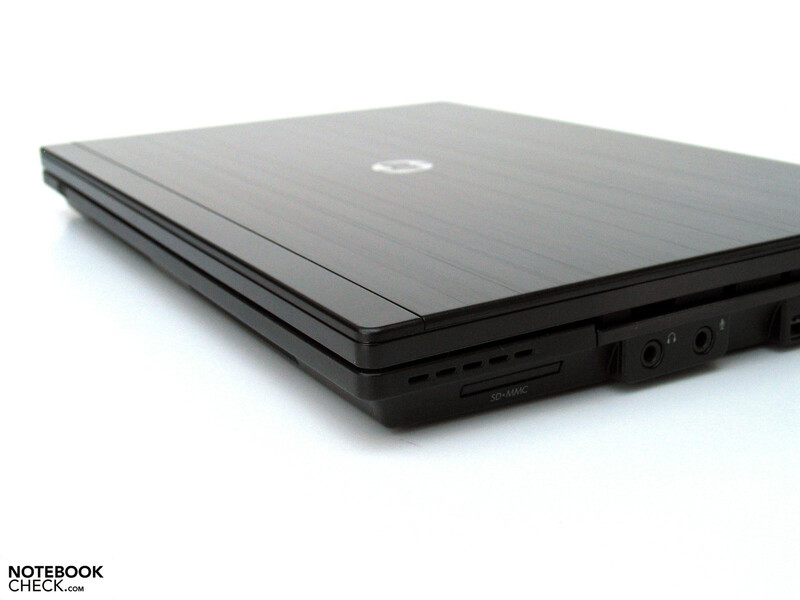 The HP Mini 5101 can reach almost DTR temperatures with up to 46.5°C here, at least with a constant load over several hours. The bottom side remained merely in a "lukewarm" field without load and/or in moderate office mode, which allows for a mobile notebook use, for example on the thighs, without problems. (+) The maximum temperature on the upper side is 34.6 °C / 94 F, compared to the average of 33 °C / 91 F, ranging from 21.6 to 53.2 °C for the class Netbook. (-) The average temperature of the palmrest area of similar devices was 29.3 °C / 84.7 F (-4.7 °C / -8.5 F). That there's not much to be expected from a business netbook in view of sound rendering should be clear. But the test with several music tracks of various genres managed to surprise us in a positive way. On the one side, the Mini 5101 has an impressive maximum volume, on the other, the sound to about 75% was very much alright for netbook circumstances. The integrate speakers can therefore very well be used for background music. The battery used in our test device merely had a capacity of 29 Wh. Neither is there anything noted on the official manufacturer's page nor is there anything found in the offers of various shops about an alternate battery with a larger capacity, but we found an additional, somewhat thicker 55 Wh battery in our package. 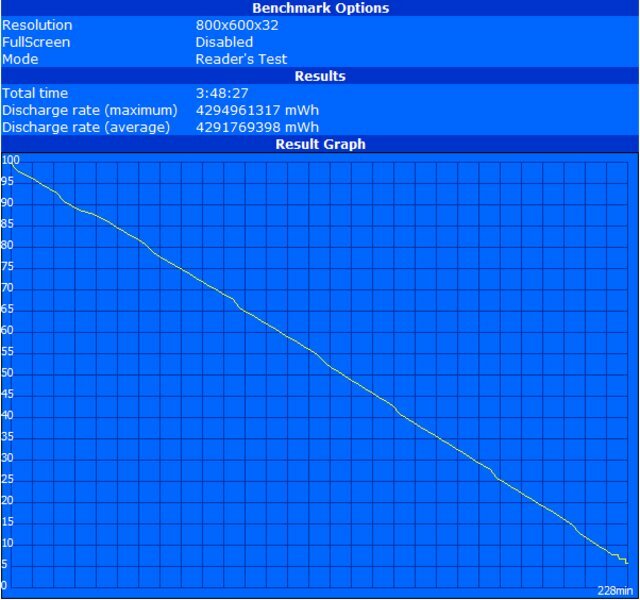 The achieved battery life of the smaller battery stayed in an under average level for netbook conditions. 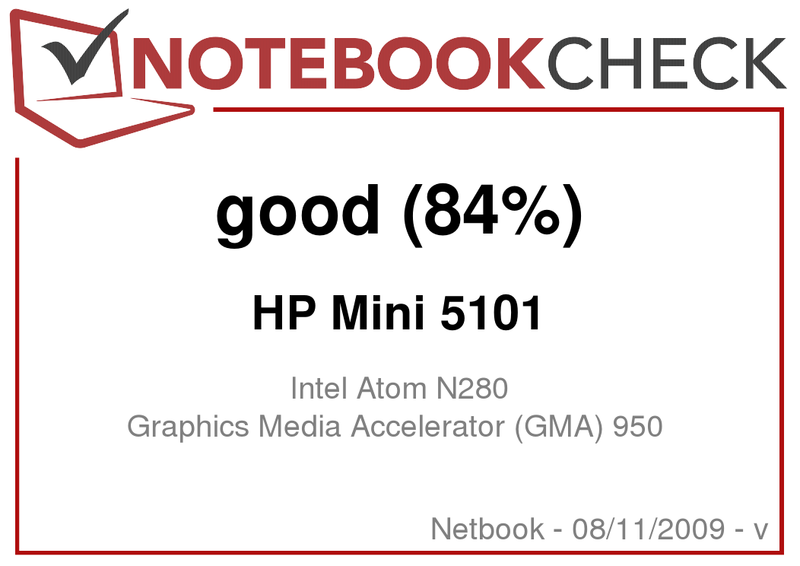 The HP Mini 5101 reached a maximum runtime of 228 minutes, hence almost 4 hours, in the BatteryEater Reader's test (min. 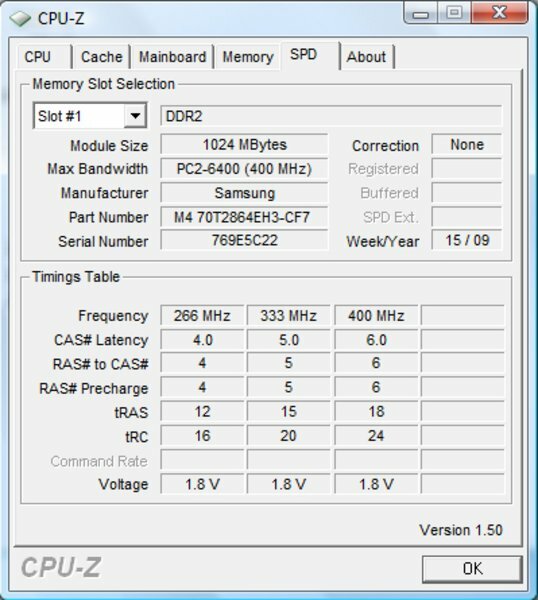 display brightness, energy savings profile, WLAN off). The 5101 could still reach 110 minutes under load (BatteryEater Classic test - max. 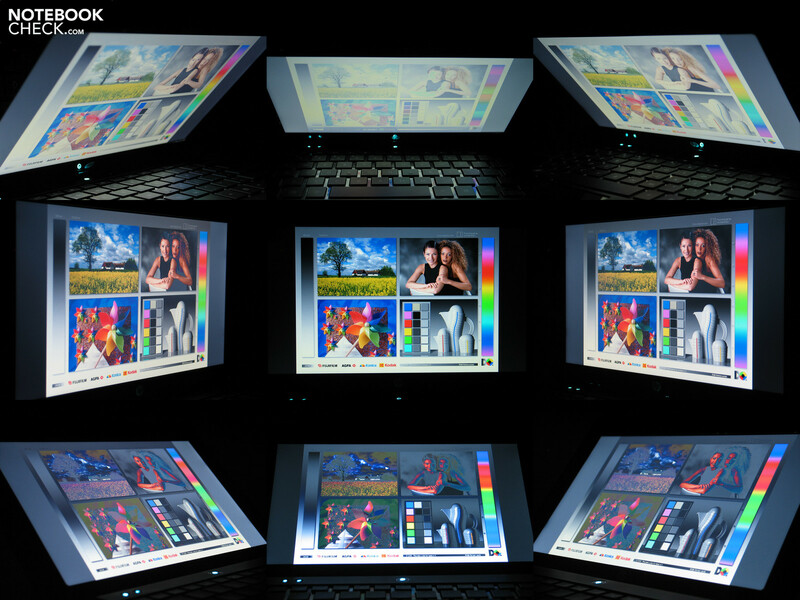 display brightness, WLAN on, high performance profile). The significant runtime result for practical runtime in WLAN surf mode can be recorded as being 155 minutes, thus about 2.5 hours. The result of the larger battery turned out notably better. This ran for a bit over 400 minutes in the WLAN test. 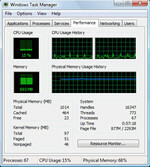 Other netbooks achieve a comparable endurance right away in this exercise. It can only be hoped that the larger battery alternative will soon be put up for sale, as well. 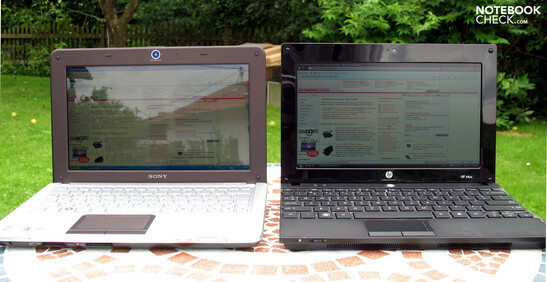 Advocates of compact and low-priced netbooks had to wait for a long time for an outdoor suitable device with a good resolution. 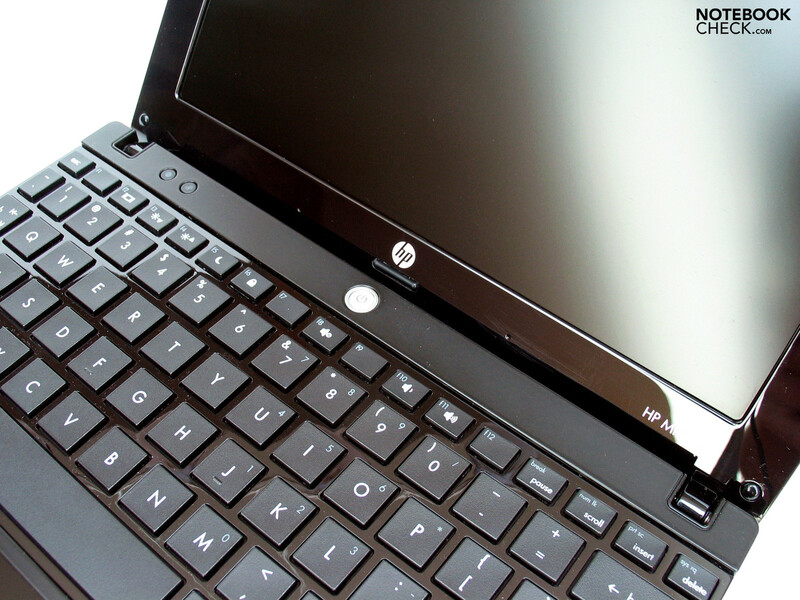 The HP Mini 5101 is one of the first models that have a WSVGA screen with an HD resolution of 1366x768 pixels in a 10.2 inch format, and this with an eye-friendly, matt display surface. Because the screen brightness is also alright, there shouldn't be any restrictions as to mobility. 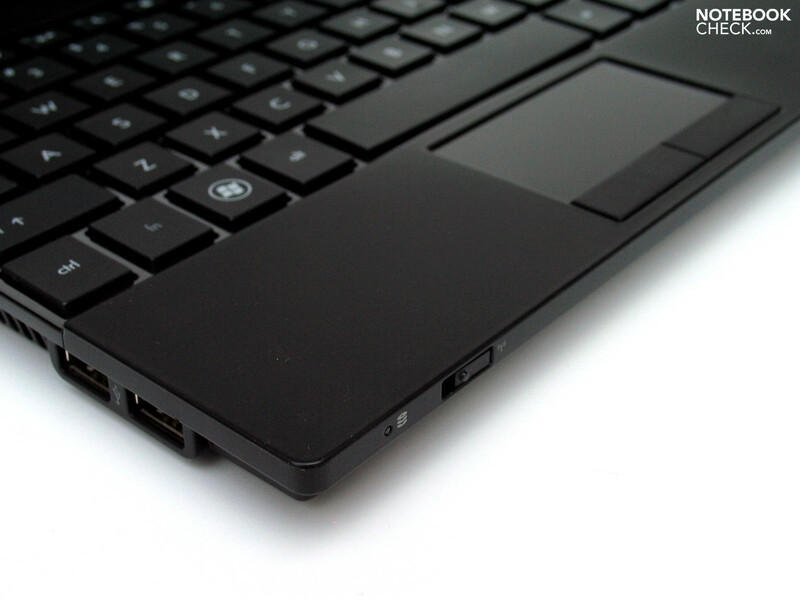 The netbook equipped with the smaller battery version of 29 Wh capacity reaches merely 2.5 hours at WLAN surfing. This is far from a whole work day, which is valid as a yardstick for business notebooks and correlating netbooks. Therefore it is advisable to definitely fall back on the larger 55 Wh battery version, which doesn't seem to be officially available yet. The typing-eager keyboard will certainly oblige frequent typists, but we couldn't chum up with the touchpad in the test. This is presented in an inconceivably smooth finished surface, which does restrict the gliding traits of the pad considerably. Too bad, as you should actually be able to spare carrying around an external mouse just especially with a netbook. Generally, a positive impression remains, not least because of the stable metal chassis, the matt, high resolution display and the agreeable keyboard. Unfortunately, the not quite well-made aspects of the HP Mini 5101 have to be accepted, if the advantages mentioned above want to be benefited from. 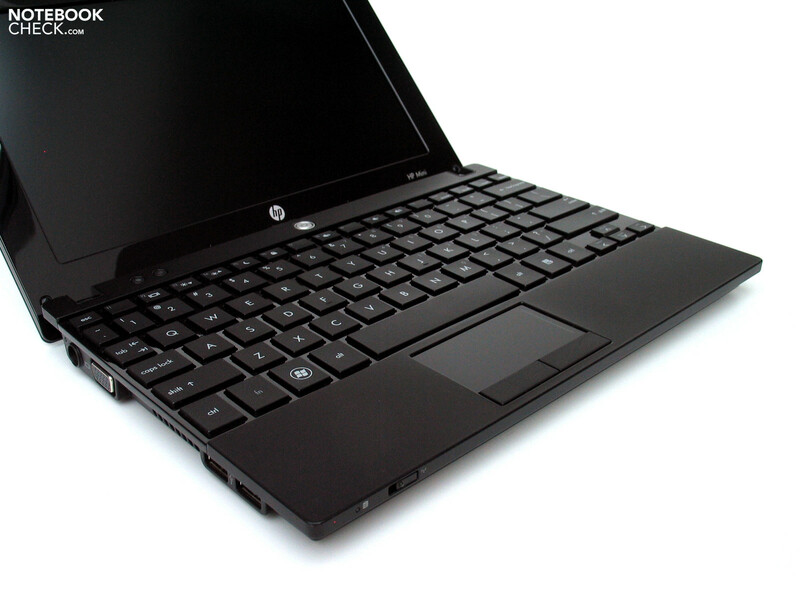 With prices of 500-600 Euros, depending on the configuration, the HP Mini 5101 ranks itself among the currently most expensive netbooks in any case. 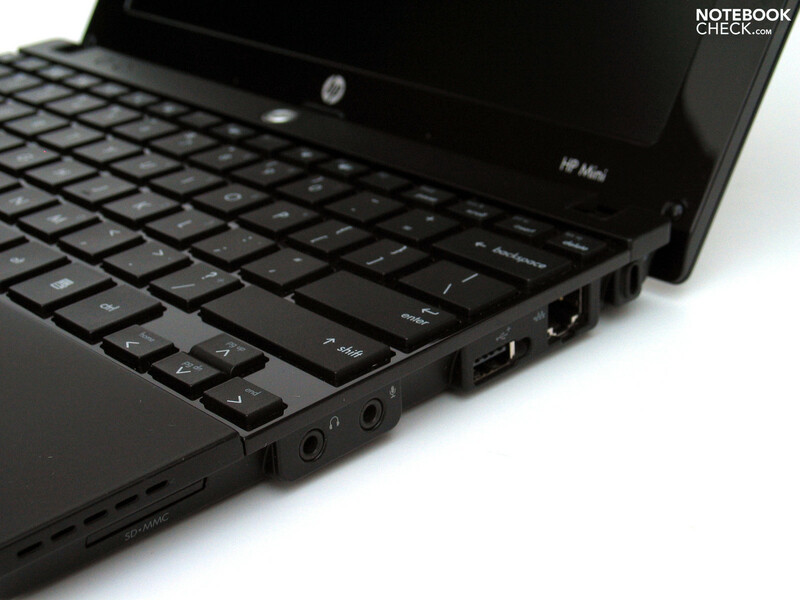 The Mini 5101 from HP is trying to position itself on the upper edge of the current netbook range. Only the American keyboard arrangement of our test sample provided for a bit of confusion. The smoothly finished touchpad surface only gives a poor gliding comfort. A highlight in the Mini 5101 is the high resolution 10.1 inch LED display with a matt surface. Due to the good brightness and matt edition, the netbook can also be used outdoors without hesitation. 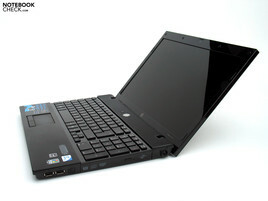 In view of hardware, the classic netbook components are found in the device, hence an Intel Atom CPU and GMA graphic chip. The integrated fan was a bit to existent in our pre-sample, unfortunately. Whilst the surface temperature turned out somewhat higher under load, the netbook remained in a pleasant range in office mode. The integrated loudspeakers could also surprise pleasantly. The small 29 Wh battery grants only a limited runtime. A single-key layout with a subjectively good type feeling is given. 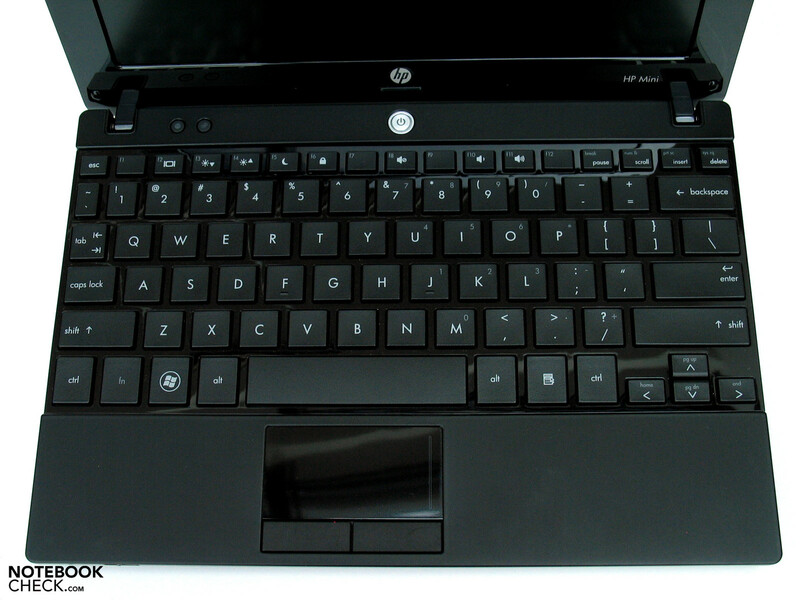 The keyboard looks very much like that in the HP ProBook series. 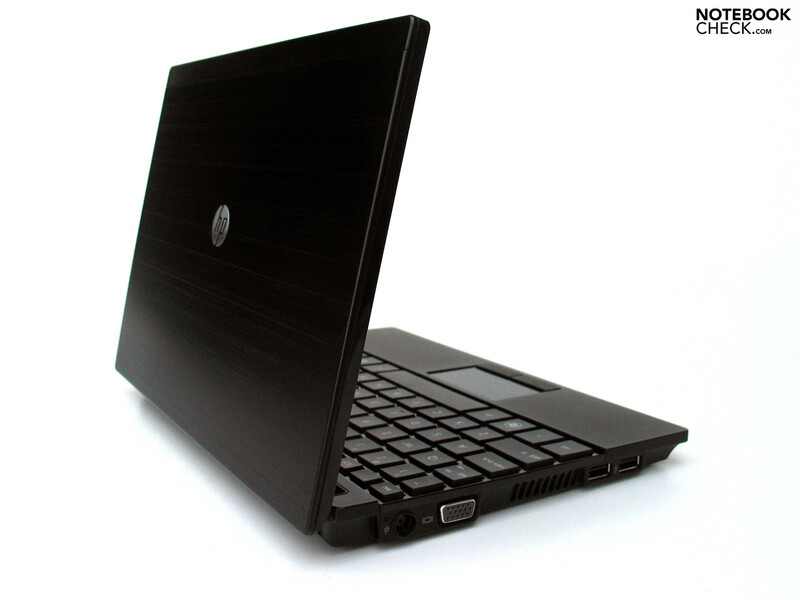 As common for a business notebook, the Mini 5101 comes in a stable metal case. Principally, the rubberized surfaces were pleasing. ...which doesn't only have an excellent haptic but also adds a plus of stability. 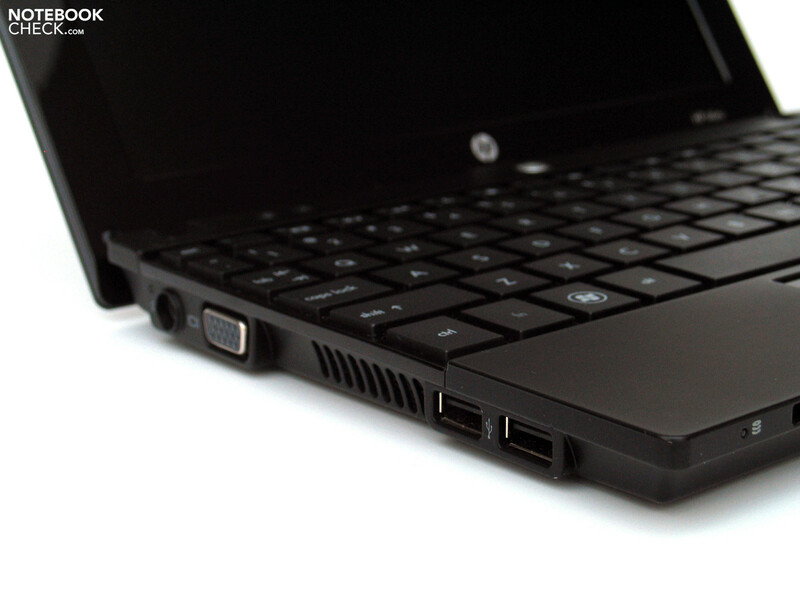 The netbook's workmanship is overall alright, too. 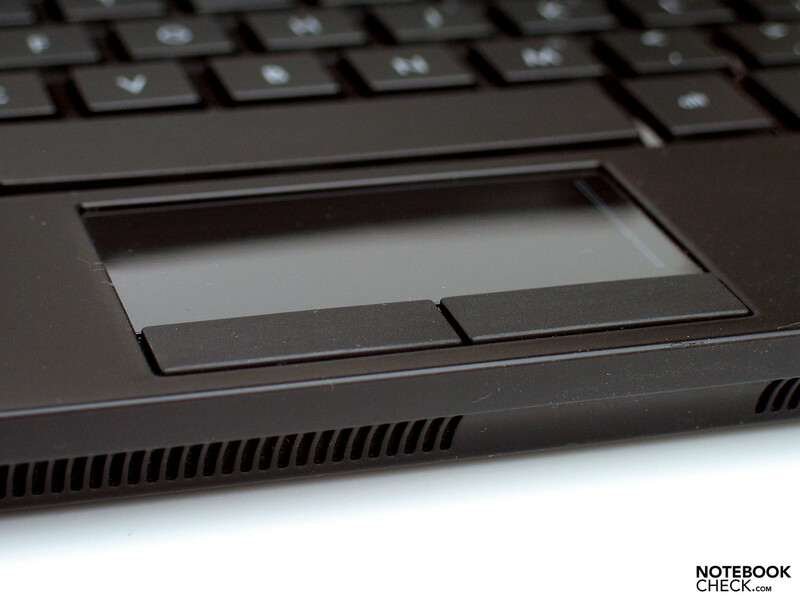 The hinges make a somewhat small impression, but have a tight grip on the display. The connectivity turns out netbook typically sparse. 3 USB ports, VGA and LAN have to suffice. There is supposed to also be a UMTS version of the 5101 optionally available. You can work considerably more independent with the larger 55 Wh battery. That the thought of mobility is finally also supported in consideration of the display. Good brightness, working suitable resolution and a matt display surface fit for outdoor use. 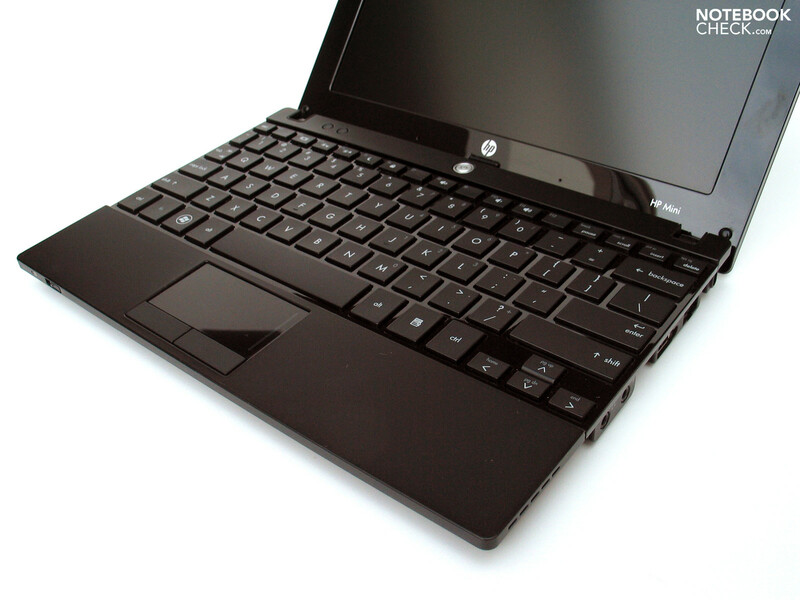 The HP Mini 5101 makes that what should be standard in netbooks to an exceptional talent. A smaller 29 Wh and a somewhat thicker 55 Wh battery had been included in our pre-sample. Unfortunately, the required larger battery version for an according mobility isn't yet officially available.